In addition to being regulated by the Fair Debt Collection Practices Act (FDCPA), Utah collection agencies are also regulated by Utah debt collection laws. Discover: Utah collection requirements, bad check laws (NSF), statutes of limitations for both debts and judgments, garnishments plus Utah collection agency license and bonding information. Certified statutory bad check notice must be sent. Amount due, interest, court costs, reasonable attorney’s fees, plus $15 bad check fee. $142.50 of disposable earnings for wages paid weekly. Fee: Varies by City and County. § 12-1-1. Registration and bond required. No person shall conduct a collection agency, collection bureau, or collection office in this state, or engage in this state in the business of soliciting the right to collect or receive payment for another of any account, bill, or other indebtedness, or advertise for or solicit in print the right to collect or receive payment for another of any account, bill, or other indebtedness, unless at the time of conducting the collection agency, collection bureau, collection office, or collection business, or of advertising or soliciting, that person or the person for whom he may be acting as agent, is registered with the Division of Corporations and Commercial Code and has on file a good and sufficient bond as hereinafter specified. § 12-1-2. Amount of bond — Conditions — Right of action. (1) The bond shall be for the sum of $10,000, payable to the state of Utah. (2) The bond shall provide that the person giving it shall, upon written demand, remit the collection proceeds to or for the person for whom any account, bill, or other indebtedness is taken for collection in accordance with the collection agreement. The Division of Corporations and Commercial Code may specify the form of the bond and may require it to contain additional provisions and conditions it considers necessary or proper to protect the persons for whom the collection is undertaken. (3) If a bond becomes forfeited or the sureties for it become liable upon it, any person injured by the acts of forfeiture or by the acts resulting in the sureties’ liability, or who by law is entitled to the benefit of the security, may maintain an action on the bond in his own name against the person giving the bond and against the sureties to recover the amount of the bond to which he may be entitled. One recovery does not bar recoveries for other breaches of the bond so long as the sureties are liable in the aggregate only to the extent of the undertaking. § 12-1-3. Term of bond — Limitation of action. Such bond shall be for the term of one year from the date thereof, unless the Division of Corporations and Commercial Code and the person giving the same shall agree on a longer period. No action thereon shall be begun after two years from its expiration. § 12-1-5. Record of registrations and bonds — Right of inspection. The Division of Corporations and Commercial Code shall keep a record of all registrations and bonds filed with it under the provisions hereof, with the names, places of residence, and places of business of the principals and sureties, and the name of the officer before whom the bond was executed or acknowledged, and the record shall be open to public inspection. § 12-1-6. Violation of title — Penalty. Any person, member of a partnership, or officer of any association or corporation who fails to comply with any provision of this title is guilty of a class A misdemeanor. § 12-1-7. Attorneys, banks and trust companies excepted. This title shall not apply to an attorney at law duly authorized to practice in this state, to a national bank, or to any bank or trust company duly incorporated under the laws of this state. § 12-1-8. Designating and limiting activities as to assignments. Any collector having complied with the provisions of this chapter, may receive accounts, bills or other indebtedness, take assignments for the purpose of collections, and at the direction of the assignor bring suit as assignee, provided however, that all accounts shall be within the statute of limitations as provided by law. All legal processes, pleadings, and court representations shall be prepared and conducted by a duly licensed attorney, and a copy of summons and complaint, in all cases, shall be served on defendants. § 12-1-9. Information void if no bond filed by collection agency. (1) As used in this section, “consumer reporting agency” means any person transacting business in this state who, for a fee, dues, or on a cooperative nonprofit basis, regularly engages in whole or in part in the practice of assembling or evaluating consumer credit information or other information about consumers for the purpose of providing consumer reports to third parties. (2) Information about the credit rating or credit worthiness of a consumer supplied to a consumer reporting agency by a collection agency as defined under the Fair Debt Collection Practices Act, 15 U.S.C. Sec. 1692 et seq., that does not have a bond on file with the Division of Corporations and Commercial Code as required under this chapter, is void on its face. § 12-1-10. Applications — Fees. (1) Each application for registration under this chapter shall be made on a form provided by the Division of Corporations and Commercial Code. (2) Each applicant shall pay to the Division of Corporations and Commercial Code an application fee determined under Section 63J-1-303. § 70C-7-105. Extortionate extensions of credit. If it is the understanding of the creditor and the debtor at the time an extension of credit is made that delay in making repayment or failure to make repayment could result in the use of violence or other criminal means to cause harm to the person, reputation, or property of any person, the repayment of the extension of credit is unenforceable through any judicial proceedings against the debtor. (1) With respect to a consumer credit agreement, if the court finds the agreement or any part of the agreement to have been unconscionable at the time it was made, the court may refuse to enforce the agreement, or it may enforce the remainder of the agreement without the unconscionable clause if that will avoid any unconscionable result. (2) If it is claimed or appears to a court that a consumer credit agreement or any part of it may be unconscionable, the parties shall be afforded a reasonable opportunity to present evidence as to its setting, purpose, and effect to aid the court in making the determination. (3) For the purposes of this section, a charge or practice expressly permitted by this title is not in itself unconscionable. (b) the cost of the action together with a reasonable attorney’s fee. (5) The penalties provided for in Subsection (4) may not be imposed upon an assignee of the creditor’s rights in a consumer credit contract found as a matter of law to be unconscionable in whole or in part unless the debtor establishes by a preponderance of the evidence that the assignee knew the agreement was a consumer credit contract at the time the assignment occurred and also knew of the facts or circumstances on which the court based its finding of unconscionability. (6) No class action may be brought under this section except for injunctive or declaratory relief. 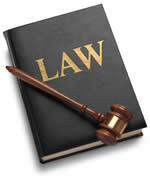 (7) Nothing contained in Subsection (6) prevents the recovery of penalties by a debtor as provided in Subsection (4). Knowing and abiding to the proper Utah debt collection laws is important for both creditors and collection agencies alike. There are debtor’s rights attorneys who are just waiting for creditors or collection agencies to slip up. If you mistakenly violate the Utah debt collection laws, you could create a liability for your business and even open yourself up to a expensive lawsuit. Please note: Utah debt collection laws can change over time, and you need to consult with an attorney before you use this information.